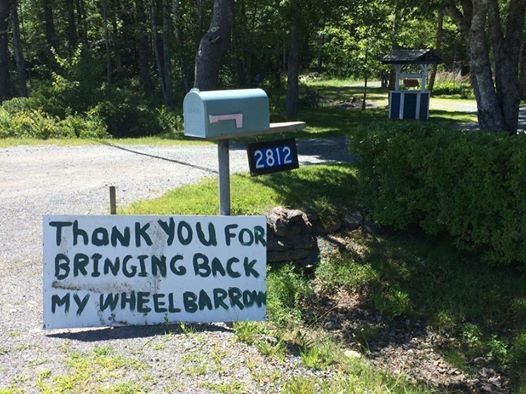 a few days later, the sign had changed: “THANK YOU FOR BRINGING BACK MY WHEELBARROW.” apparently tersely worded demands for stolen property, in rural canada, lead to results. and results lead to politely worded replies. 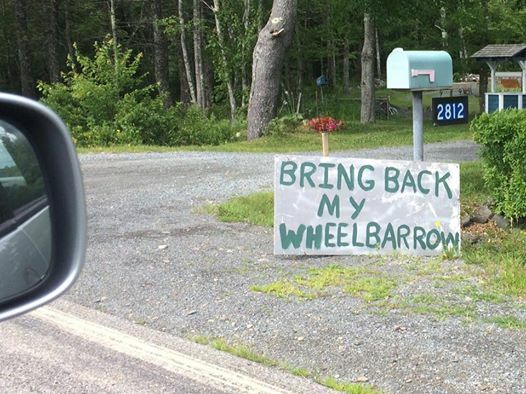 all of this might have gone forgotten—a brief, humorous tale of small-town crime, one among many brief, humorous tales of small-town crime that happen in small towns across the world—if it hadn’t been for twitter, where an acquaintance of killawee combined the hand-painted signs into a single tweet. outdoor outfitter’s approach to crime stopping. 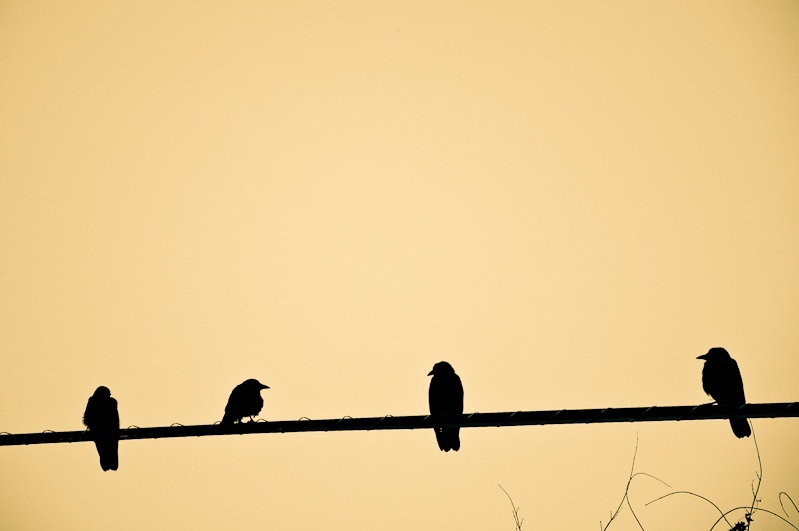 a deterrent for some – a draw for others? 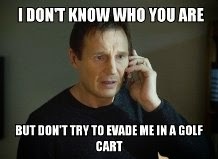 Salem Township Deputies are investigating the theft of a golf cart that occurred at the Downing Farms Golf Course. The incident occurred between Aug 29th at 9 pm and Aug 30th at 5:30 am. 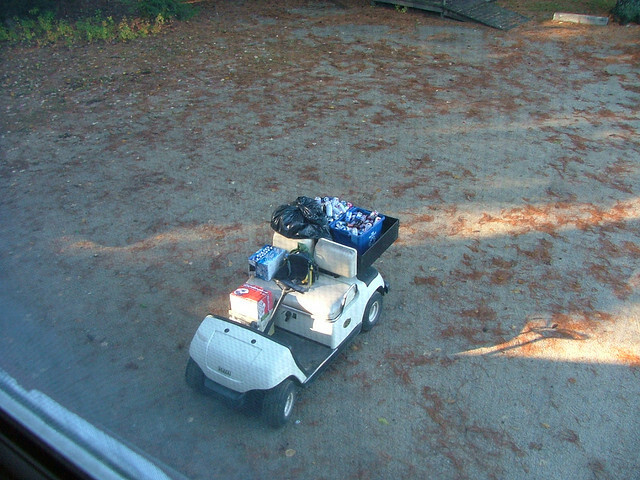 Stolen was a Club Car beverage cart white in color and a large number of returnable cans. Unknown suspect(s) forced entry to the club garage. No arrests have been made at this time. 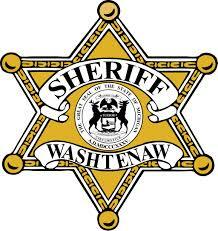 If you have any information regarding this incident please contact the Washtenaw County Sheriff’s Office at 911, through our confidential tip line (734) 973-7711 or anonymously through Crime Stoppers at 1-800-Speak-UP. Burglars are opportunistic and look for the easiest way in and out. The more you can secure your property the less likely you are to have your home broken into. i have always been a fan of true crime, and unsolved mysteries in particular. while i have no desire to be a part of any criminal activity, (and openly admit to occasionally absconding with an extra fine chocolate or two from a hotel lobby), i have always been fascinated by the criminal mind and the planning and execution of their crimes. i love putting the puzzle pieces all together, the wild goose chase, the wrong turns, and the process of finally solving a case. 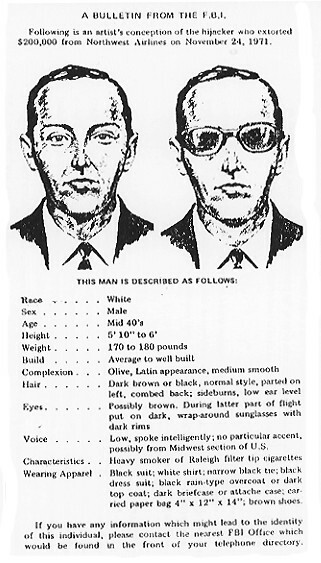 today is the anniversary of the day in 1971, when one of my favorite cases ever took place, and one that remains unsolved to this day: the d.b. cooper case. D.B. Cooper: Everything you need to know in 20 sentences and 5 minutes of your time. One afternoon a day before Thanksgiving in 1971, a guy calling himself Dan Cooper (the media mistakenly called him D.B. Cooper) boarded Northwest Airlines flight #305 in Portland bound for Seattle. He was wearing a dark suit and a black tie and was described as a business-executive type. While in the air, he opened his brief case showing a bomb to the flight attendant and hijacked the plane. The plane landed in Seattle where he demanded 200K in cash, four parachutes and food for the crew before releasing all the passengers. With only three pilots and one flight attendant left on board, they took off from Seattle with the marked bills heading south while it was dark and lightly raining. In the 45 minutes after takeoff, Cooper sent the flight attendant to the cockpit while donning the parachute, tied the bank bag full of twenty dollar bills to himself, lowered the rear stairs and somewhere north of Portland jumped into the night. When the plane landed with the stairs down, they found the two remaining parachutes and on the seat Cooper was sitting in, a black tie. Jets, a helicopter and a C-130 aircraft had been scrambled from the closest air force base to follow Cooper’s plane. The military was called in days after the hijacking and approximately 1,000 troops searched the suspected jump zone on foot and in helicopters. The Boeing 727 used in the hijacking was flown out over the ocean and the stairs lowered and weights dropped in an attempt to determine when Cooper jumped. The SR-71 super-secret spy plane was sent in to photograph the entire flight path but no sign of D.B. Cooper was ever discovered. Nine years later in 1980 just north of Portland on the Columbia River, a young boy named Brian Ingram was digging a fire pit in the sand at a place called Tena Bar. He uncovered three bundles of cash a couple inches below the surface, with rubber bands still intact. 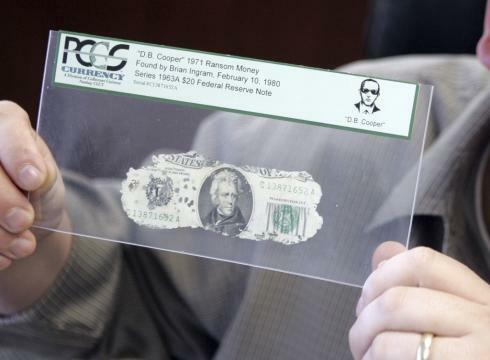 There was a total of $5800, the Cooper serial numbers matched, and the first evidence since 1971 came to light. The FBI searched and analyzed the beach, the river was dredged by Cooper Hunters and the theories on how the money got there supercharged the Legend of D.B. Cooper. Decades passed, D.B. Cooper became famous in book, movie and song. In 2007, Special Agent Larry Carr took on his favorite case with the restriction not to waste government time or money pursuing it. Agent Carr brilliantly decided the way around the problem was to treat the hijacking like one of his bank robbery cases – to get as much information out to the public as possible. He released previously unknown facts about the case and the D.B. Cooper frenzy started anew. In 2008 the Cooper Research Team came together to take up the challenge and was given special access to investigate the case. This website is the result of that three year investigation. The D.B. Cooper case continues to be debated in forums and chat rooms around the world. Most of the conversation (and arguments) center around a few ideas outlined below. The ‘Debate Factor’ is the level of interest for that theory among Cooper followers. 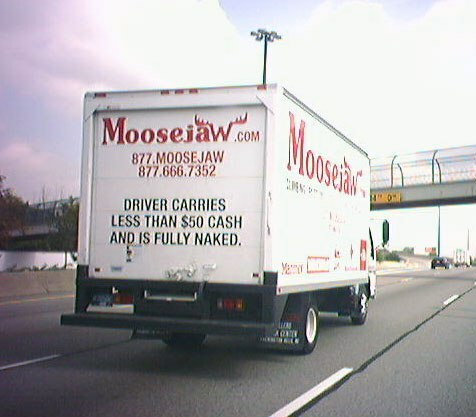 crimestoppers come in all shapes and sizes. you do what you do. as is my way, when i am curious about something, i like to learn about and experience it firsthand. i’ve always been fascinated by the law, crime, the criminal mind, mysteries, and everything surrounding this world. (except when fighting an unjustified ticket). from the moment it began, i loved every minute of it. the first night, we met the sergeant in charge of the program, who explained that their motivation was to bring the community together with law enforcement in order to build a better connection, a partnership, rather than an adversarial relationship, through our understanding of what they do. in my class there were citizens of all ages, in their early 20s to 70s, all genders, races, and occupations. each of us was there for our own reason, but we all were eager to learn. there was the behavioral psychologist, the architect, the vietnam vet, the housewife, the business exec, student, the professor, the young married couple, the crime hobbyist, and on and on. the subjects and the presenters were fascinating and we went on field trips: to the jail downstairs, to the command center (we traveled in the the county prisoner transport vans), and to the shooting and drunk driving ranges. talk about bonding experiences. i was as fascinated by the characters in the class, as i was by the sheriffs, and they never failed to deliver. we built a close trust over the weeks and people became more and more open, disclosing all sorts of crazy things. when we had a chance to ask questions, it never failed that at least one person would ask a ‘hypothetical question’ about something that was illegal, and the sheriffs would usually respond by saying, ‘i don’t know, or need to know, why you asked that, but i can give you the legal answer…..’ even the prisoners got in on the action, as they cooked and provided themed meals for us each week: one week, bad chinese, another, sticky italian night, and always the cookies, but it was all part of the fun. corrections officers – our visit to the county jail (where one member of my class yelled out, ‘thanks for the cookies!’ to the prisoners). drug recognition and weapons experts – talked about all kinds of drugs and weapons what is out on the street (many revealing and personal class questions about these). bomb sniffing and drug smuggling dogs – the sheriffs advised us to ‘ditch whatever you have if you’re carrying anything’. underwater search and rescue – showed us actual rescues and recoveries, and polar bear diving just to keep in practice, amazing tech. homicide detectives bureau – gruesome photos, fascinating ways of solving cases, macabre jokes, tears. impaired driving expert – class member volunteered to take the test in front of class and failed – said she forgot she was on prescription medication. maybe not the best night to volunteer for something, but i loved her for getting into the spirit. undercover – out of cover, and class member said he recognized one of them tailing him in a bad neighborhood recently. 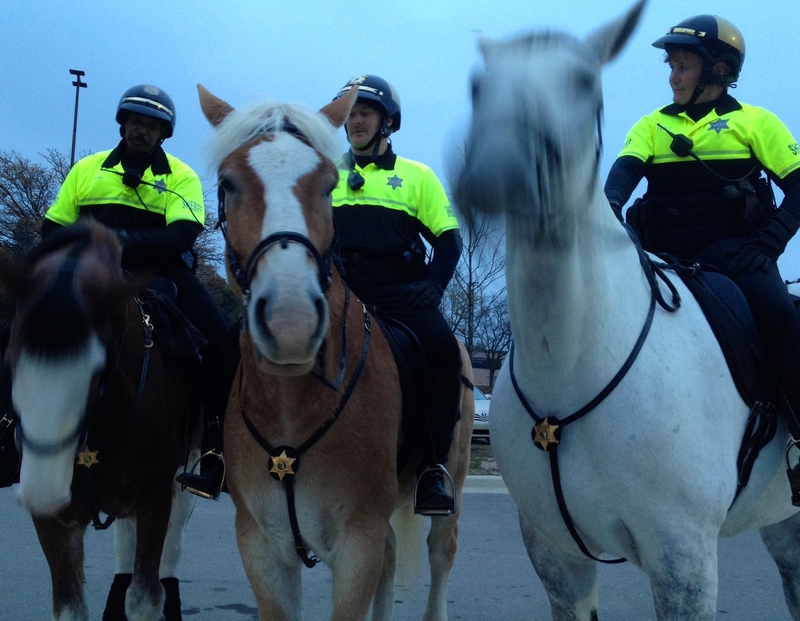 mounted unit – wonderful horses and one sheriff who said he had a dream that he would no longer be a motorcycle guy and become a horse guy instead, and then it happened. 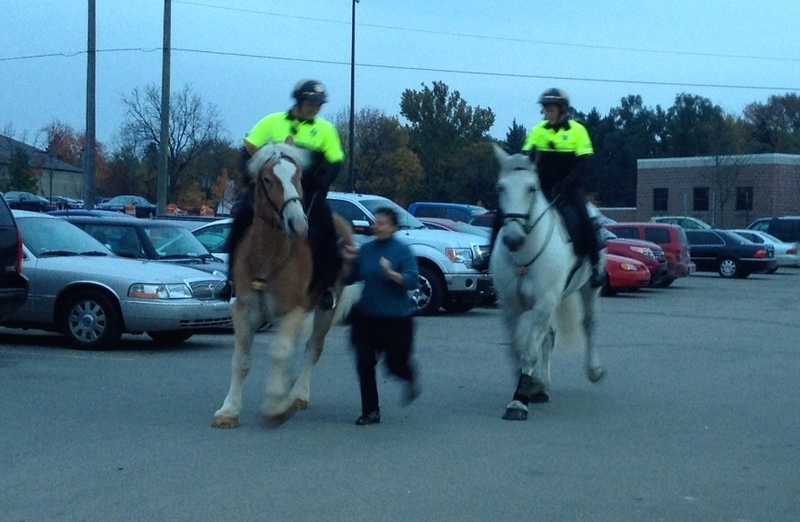 they chased down the sergeant in our parking lot using only their horses. special weapons and tactics – wow. traffic accident reconstruction – sad and very hard job, have to figure out what happened and notify families, nightmares. emergency preparedness – underground bunker, with seats for leaders from all factions of first responders in county and state. hostage negotiation team – delicate work, very challenging, always on call, 24/7 as needed, high stress, very dangerous. community team – targets a tough neighborhood, works with residents to help get criminals out and rebuild the community. 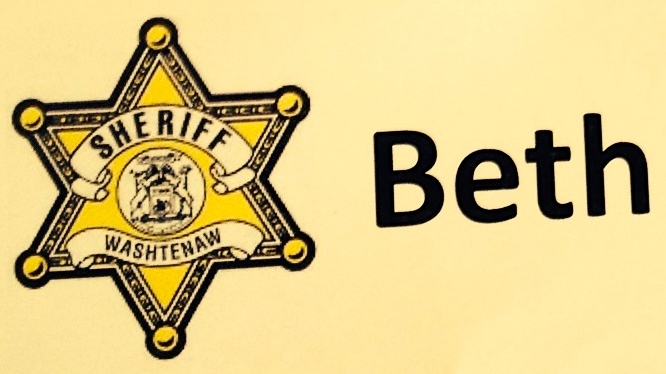 on our graduation night we met the sheriff himself, who uses a hierarchy of psychological needs approach to lawbreakers – take care of basic needs before we can help them learn and make progress upward. i told him i use the same approach in kindergarten. i loved their honest, and funny, and sad, and scary, behind the scenes, stories. sarge b said she will take any of us on a ride-along if we’d like. and i see another adventure ahead.